Spent Sunday, the day after we arrived adapting our new dinghy Balakerette IX to operate on the davits, putting a new charging circuit relay on our batteries (kindly donated by Dave from XTsea) and working on the dinghy outboard. 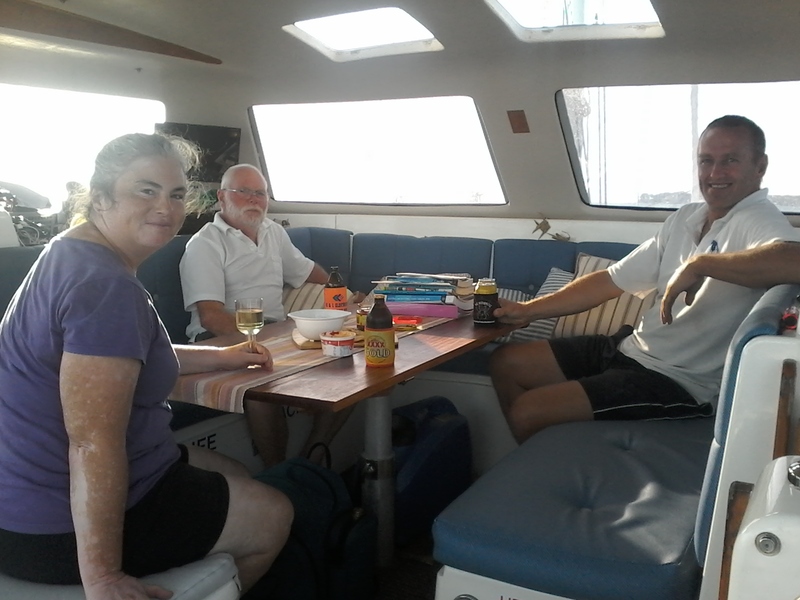 Colleen and David then joined us for sundowners on Baly. Monday was Jim’s last day as he flew out at midnight. We hired a car so we could visit a number of places we had spoken to and ordered special parts for our furler and VHF radio. Also the obligatory visit to BCF and Bunnings. 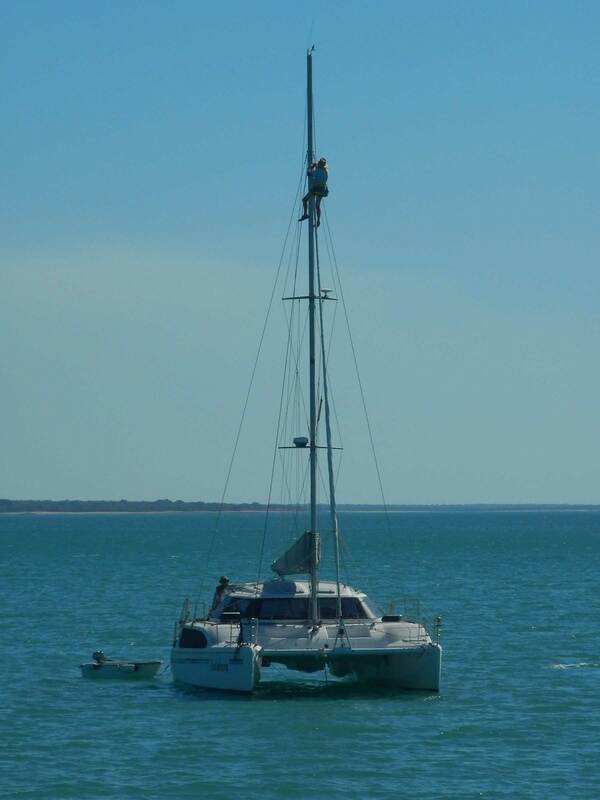 We sent Jim up the mast one last time to fit a new top plate to the furler. 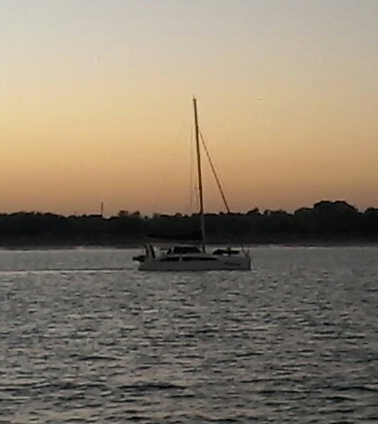 Met my brother in law’s long term mate Brooky for sundowners at the trailer boat club and dinner. David and Colleen are heading off for the Berkeley River at first light. Prof arrives on Wednesday and we will probably leave Darwin by Saturday.